It's hard to believe another one has rolled around already, but that means it's time for a little bit of inspiration from me today! I bet you are already full of wonderful ideas you have gotten from visiting our blog earlier in the week. Don't forget to check back each day for more inspiration! Today's card is one that would be suitable for a man's birthday, and we all know how hard those are to find! The minute I saw these cute birds on a wire, I knew they would make a perfect "guy" card! 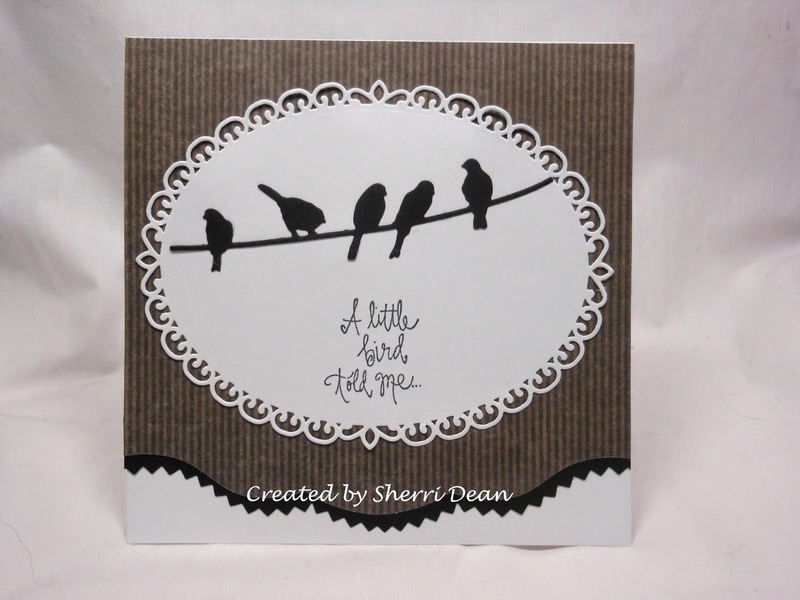 This card was made using just 3 dies: Spellbinders Elegant Ovals, Spellbinders A2 Scalloped Borders Two and Spellbinders Birds on A Wire. I cut the scalloped border with one of the less feminine edges. There are 7 dies in the set & your choices are endless by combining them. I also like to decorate the inside of my cards, so I used the bottom I cut from my designer paper as an edge inside. 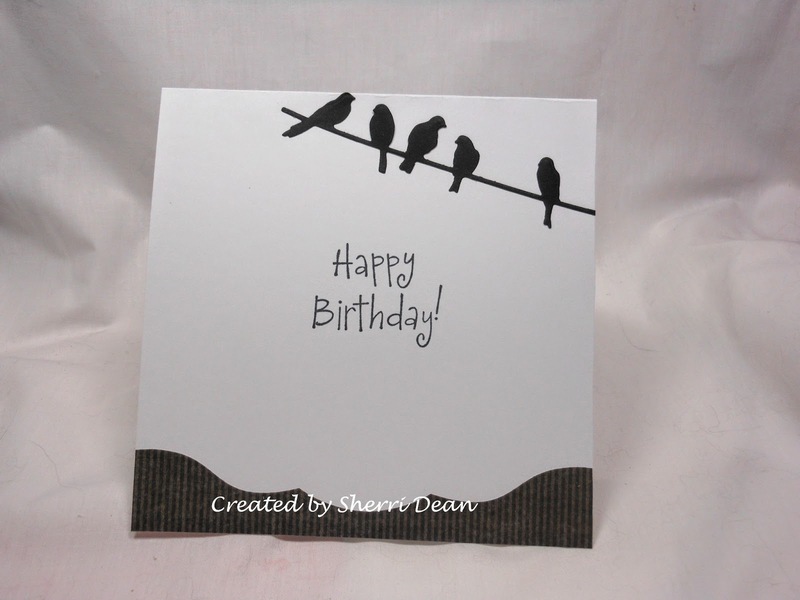 By adding the 2nd line of birds to the inside, you carry the theme throughout the entire card. I hope this has given you even more ideas of your own! And if you check out all the new additions to the store, I'm sure you will get even more ideas! We have more dies than anyone out there & the best prices too! Happy shopping! Sherri, nice CAS card! Love your dies and design! Brilliant idea...love using the birds for a man's card...This is wonderful and so CAS as well. Are you a fan club member. This would be great for the CAS birthday challenge that is going on!